Staying away from your phone can be a daunting task, because it’s present in nearly every moment of your life. Deciding to reduce the time you spend staring at your phone, isn’t easy because of your constant relationship with it. A while ago, while I was aggressively trying to use my phone less often, my reliance on several apps and tendency to check every alert pulled me back constantly. Quitting entirely wasn’t an option. I eventually realized it’s all about compromises and establishing limits you’re able to follow. Fortunately, you can adopt habits to cut back in manageable ways. Here are the ones that allowed me to cut my smartphone usage by half. The first step towards curbing your smartphone addiction is to understand how severe the situation is. To do that, you’ll need Apple or Google’s digital wellbeing tools. 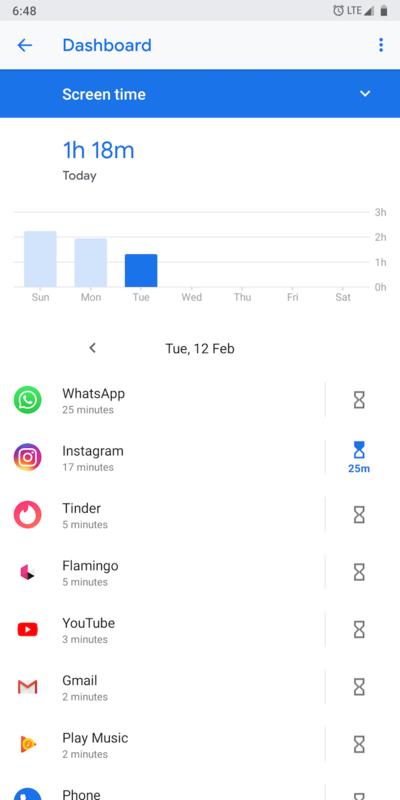 Starting with iOS 12 and Android Pie, every iPhone and phone running stock Android has the ability to track your daily usage and show exactly what takes up your time. On Android, this is available at Settings > Digital Wellbeing. If you don’t have it yet, you can download the app from Google Play. On iOS, you can find the feature under Settings > Screen Time. 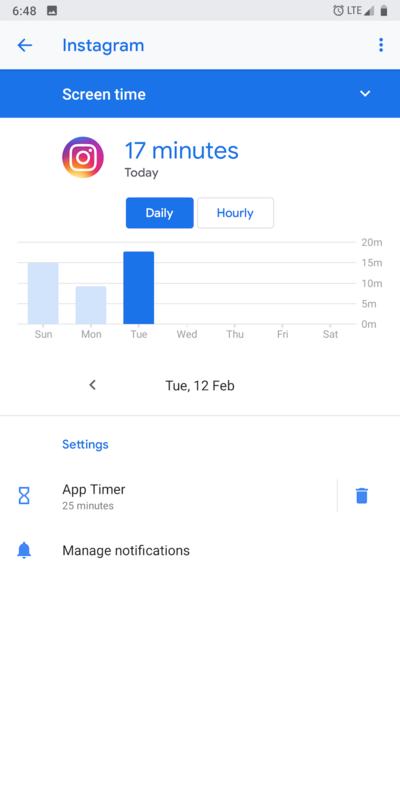 We’ve taken a detailed look at Screen Time iOS 12's Screen Time Feature Will Curb Your Phone Addiction iOS 12's Screen Time Feature Will Curb Your Phone Addiction Do you use your iPhone too much? The new Screen Time feature in iOS 12 can help you cut back on your phone addiction. Read More if you want to learn about it before moving on. 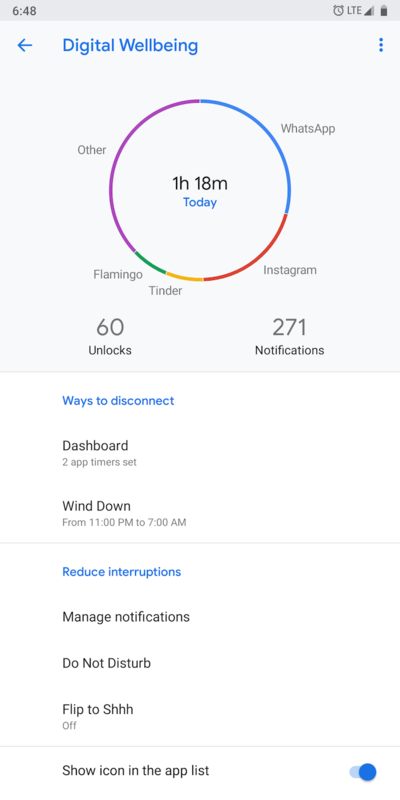 In addition, you have access to various other insights such as weekly reports, app-specific statistics, how often you unlock your phone, and more. In case your phone doesn’t run stock Android Pie, you can download a third-party app called ActionDash. It performs largely the same function. Once you’ve figured out which apps need time constraints, it’s time to set up limits. However, the secret to a healthy detox is to start slow. Blocking Instagram entirely out of your life isn’t the solution just yet. You’ll have to gradually grow comfortable with restrictions and keep increasing the limits at your own pace. For instance, if you regularly browse Instagram for an hour, you should initially slash off a quarter of that allowance and configure a limit of 45 minutes. Do the same for the rest of your most time-consuming apps. Then every week or two, diminish the quota even further. The final Digital Wellbeing options you should explore are Downtime (on iOS) and Wind Down (on Android). 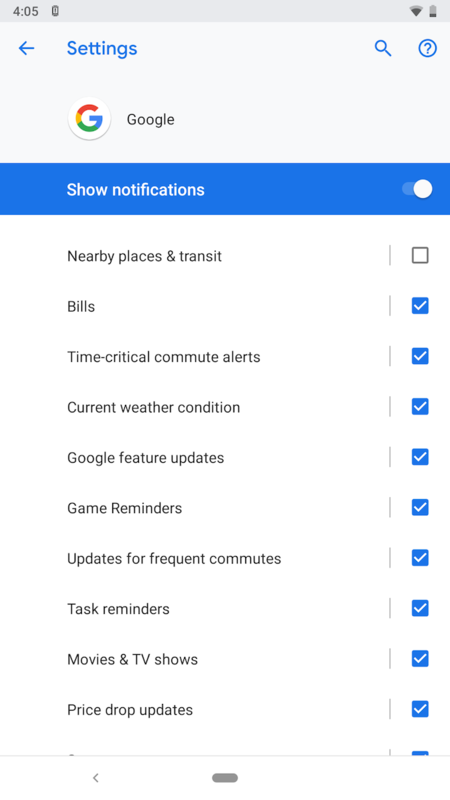 When enabled, all notifications are suppressed except for phone calls or exceptions you add. 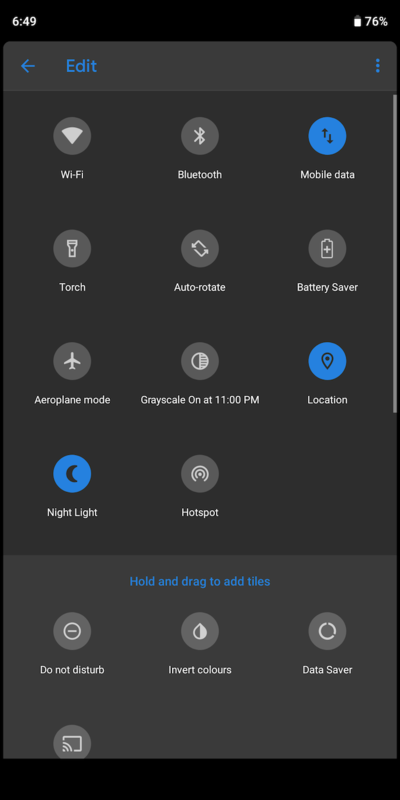 On Android, the screen even goes grayscale. This is both easier on your eyes during nighttime and much less distracting. You can switch on this mode to activate daily for a specific period, like between the time you go to bed and when you wake up. Another handy little tip which has proved vastly successful for me is simply getting rid of addictive app icons from your home screen. It may sound a silly, but trust me, it works. 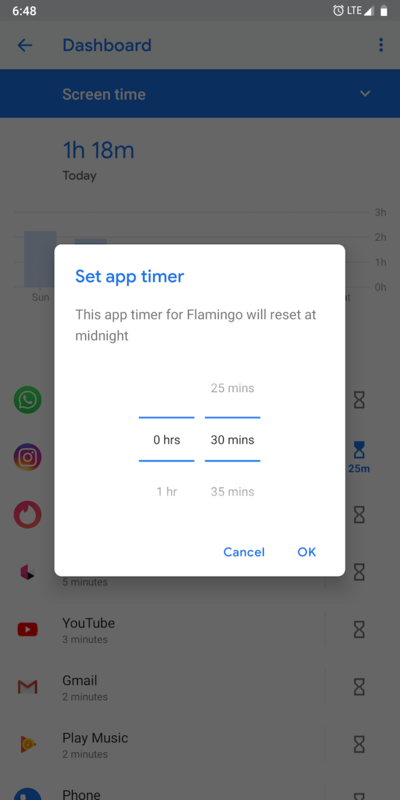 More often than not, you unlock your phone to quickly check the time or notifications, but somehow end up surfing Instagram for half an hour. If that scenario is all too familiar, you should certainly give this a shot. Adding a few extra steps for getting to your favorite apps can go a long way. 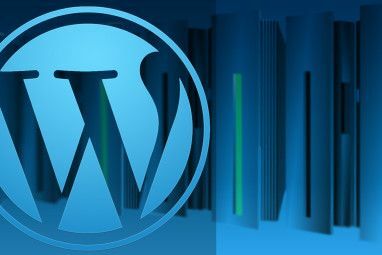 It will essentially help you to break that inclination of launching apps like Facebook as soon as you open your phone. Most of the time, the reason you end up on your phone is due to the constant stream of pings. But turning off all notifications is impractical, at least for essential apps. Luckily, there’s a better solution: notification channels. 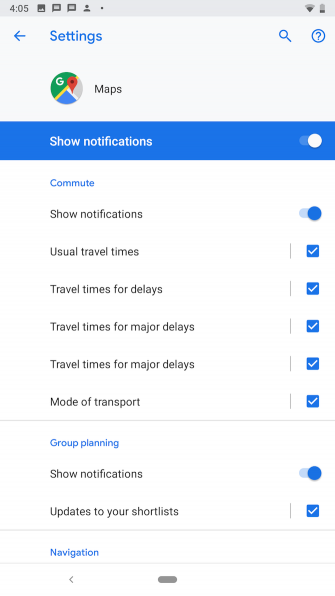 Notification channels is an Android-exclusive feature (available in Android 8 Oreo and above) that lets you tweak or mute a specific set of alerts from an app. On WhatsApp, for example, you can block unnecessary group messages while still receiving pings for one-on-one conversations. To access an app’s notification channels, head to Settings > Apps & notifications > See all X apps. Locate and tap the app whose alerts you’d like to adjust, and select the Notifications field. There, you’ll find all the categories which you can individually disable and adjust. 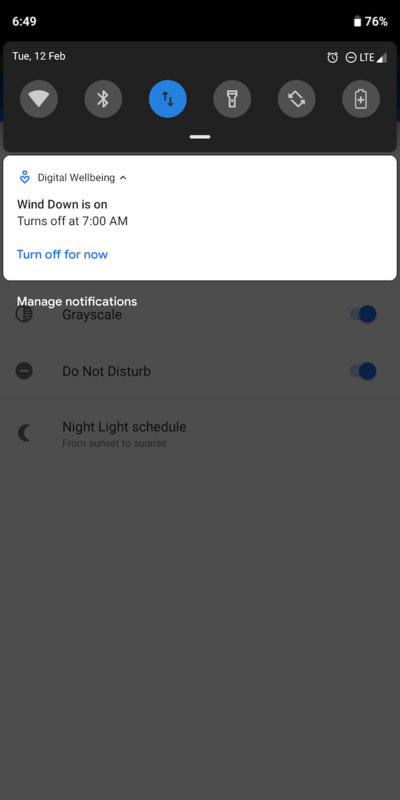 Aside from just disabling a type of notification, you can change the alert type, sound, and more. Play around with it to find the best balance for you. Meanwhile, iPhone users should check our guide to taking control of iOS notifications How to Take Control of Annoying iPhone Notifications With iOS 12 How to Take Control of Annoying iPhone Notifications With iOS 12 iOS 12 brings new notification controls that help you filter alerts you don't care about. Here's how to use them. Read More for a similar effect. Modern apps are built to keep you captivated by employing several design practices. One of those is to apply bright, jaunty colors which convey a sense of joy every time you interact with them. The easy way out of that is to turn your phone’s display to monochrome. Going grayscale also makes your phone look less interesting than the real world around you, which in turn impels you to spend less time looking at it. Both iOS and Android phones have an option that allows you to achieve this. 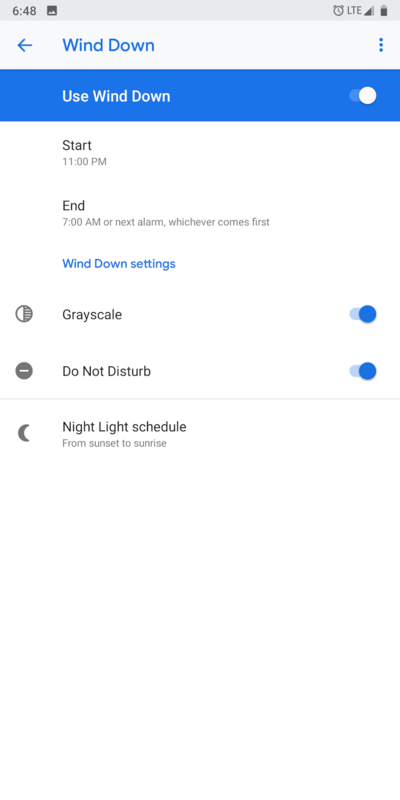 If your phone is compatible with Google’s Digital Wellbeing tools, all you need to do is add a custom quick settings tile called Grayscale. To do this, simply drag down from the top of the screen twice to open Quick Settings. Tap the Pencil icon at the bottom, then scroll down in the list to see unused tiles. 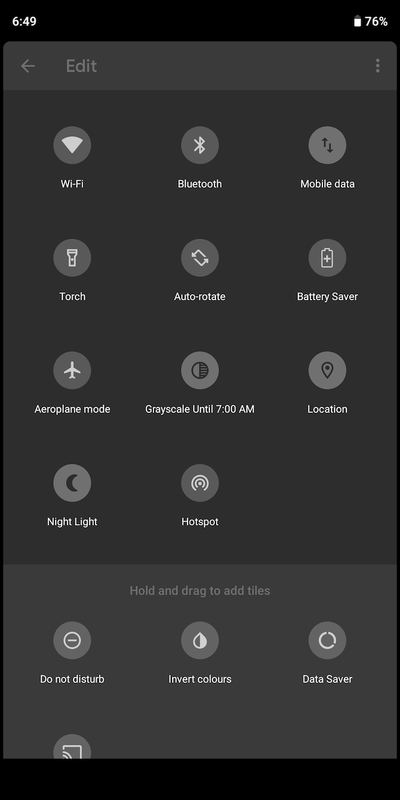 Drag Grayscale to a convenient position above and you’ll be able to access it anytime. Other Android users have to take a slightly longer route. You’ll have to first enable developer mode and then go into Settings > System > Developer options. Scroll down to an option called Simulate Color Space. Select it and tap Monochromacy. On iOS, head into Settings > General > Accessibility > Display Accommodations > Color Filters and choose Grayscale. Scrolling endless feeds on your phone both before and after sleeping is detrimental to your rest and overall health. The best way to deal with this habit is to not leave your phone on the bedside table at night. 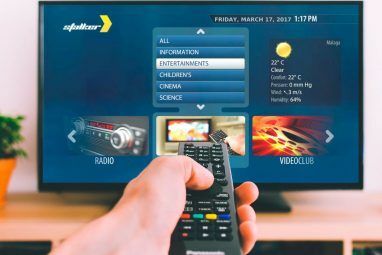 Not only can this eliminate an hour from your screen time, but it will also help reduce the urge to keep hitting the snooze button. Of course, you can even invest in an old-fashioned alarm clock if you’re used to setting alarms a few minutes before you need to wake up. 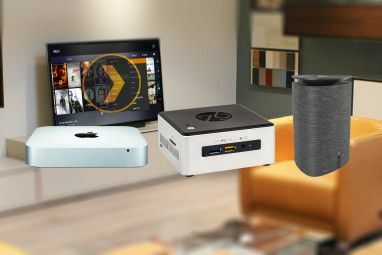 If the above doesn’t seem to work for you, or if you’d like to take more extreme measures, you can always turn to third-party apps. You’ll find plenty of services designed to equip you to overcome smartphone addiction, especially on Android. One such app is a launcher called LessPhone. As the name suggests, it overhauls the home screen and strips it off every addicting element. All you are left with is a couple of links to the most fundamental functions like phone, SMS, your to-do list, and other basic apps. If you feel you’re unable to pull yourself away and properly follow any of the aforementioned methods, you can give Headspace a shot. It’s a meditation app that allows you to get better at self-control. We’ve also looked at some other apps for fighting smartphone addiction. Changing how you operate your smartphone is a long, demanding process. It took me months to make a change, but eventually, I got the results I was hoping for. 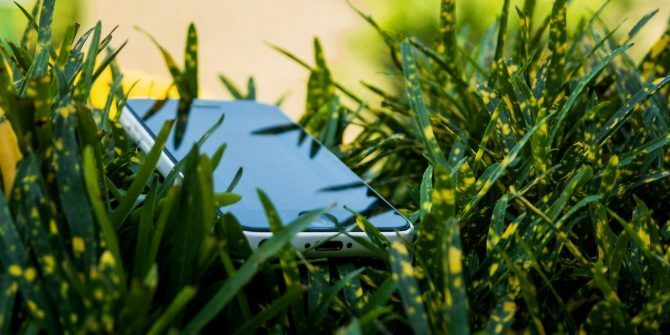 Apart from the practices discussed here, you have many other ways to become a more mindful smartphone user 5 Simple Ways to Be a More Mindful Smartphone User 5 Simple Ways to Be a More Mindful Smartphone User It's easy to get sucked into the smartphone world in the modern age and forget about the real world. Here's how to take back control of your life. Read More . Explore more about: Addiction, Android Tips, Habits, iOS 12, iPhone Tips, Productivity Tricks.